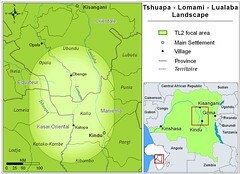 DR Congo has been wracked by war since 1996. And this whole forest is silent, ka-boom, boom, boom, forever more. On “its” way from the hunt. Homemade caliber 12 used to hunt “it”. On “its” way to the maket. 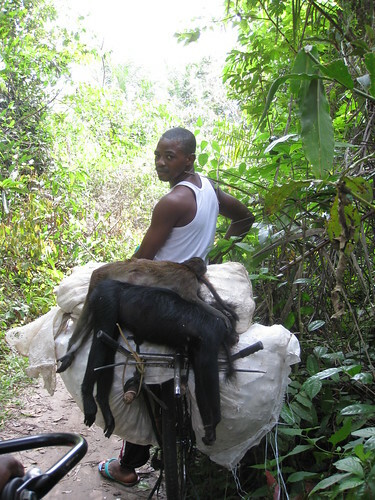 Here is a key question: in war-torn Congo, has war increased bushmeat hunting? Loss of income due to economic collapse. The demand exists – the hunters exist – and animals, ever rarer, can still be found. I dedicate my nursery rhyme, above, to General Nkunda and all the many warlords that preceded him. This entry was written by Terese Hart, posted on 2008-11-20 at 9:51 am, filed under Bushmeat. Bookmark the permalink. Follow any comments here with the RSS feed for this post. Post a comment or leave a trackback: Trackback URL. Yes, it is very sad, very. But we are not totally pessimistic. It is possible to make a difference. They are in Virunga, we can in TL2. I am certain. One is left to wonder how the govt. 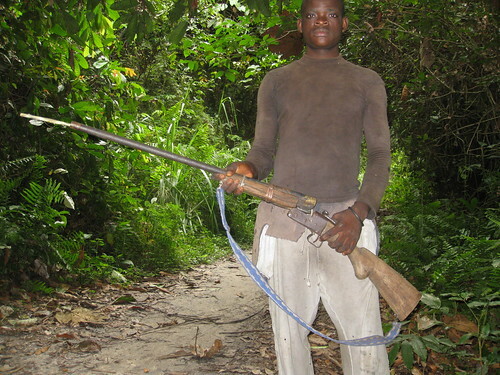 of the Congo as corrupt as they are allow the killing of bush animals that carry diseases. It only hurts the whole culture of that country. It is the governments that are responsible for their own downfall, and yet the people are starving for food. At a regional level, i.e. 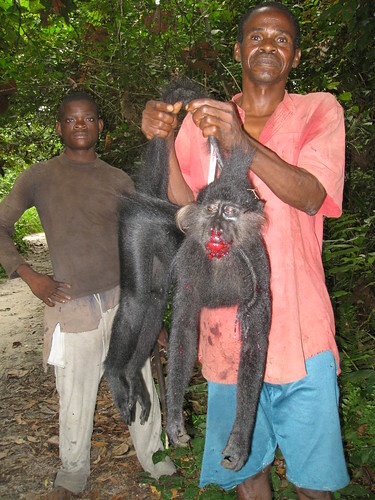 at the Ministry of the Environment in the Province of Maniema (a province is like a State in the USA), they are eager to work to control bushmeat hunting. But they are so poorly equipped, everything we do is starting from scratch. The Minister does not even have a computer, there is of course no printer or even small library associated with the Ministry. When we are talking about publicizing and overseeing the enforcement of hunting laws…it means finding some operations budget and even pay for the environmental agents in the territories (like counties) and collectivites (smaller divisions). This country is so far from what we would call functional ….. and yet I believe that we can make a successful project in the TL2 area — because the government collaboration is basically very good….just NOT effective until made effective.